An unexpected encounter that verges on a possible romance in a foreign land, Lost In Translation is a delightful and melancholy story of a potential love that could have blossomed under different circumstances, or that may have never happened except in the most unusual of surroundings. Bill Murray and Scarlett Johansson are unforgettable as the travellers who cross paths, and pause to jointly explore a certain dead-end. Bob Harris (Murray) is a once-famous action movie star whose career has been reduced to endorsing alcoholic beverages for the Japanese market, where he remains unjustifiably popular, in return for large cheques. Arriving in Tokyo for a few days of filming commercials and utterly over-run by jet-lag, Harris goes through the motions, mostly hanging out at his hotel bar in between shoots where he struggles, in as far as he cares, to understand what the Japanese director wants him to do. Bob's domestic life appears to also be falling apart, his long distance communication with his wife reduced to trite and tired emotionless exchanges. Also in Tokyo and staying at the same hotel is a young American couple, Charlotte (Johansson) and John (Giovanni Ribisi). He's a photographer on assignment shooting local music bands; she's suffering through all the warning signs of a wife emotionally and physically abandoned. When John bumps into an airhead starlet (Anna Faris) at the hotel, he never even bothers to introduce Charlotte. Bob and Charlotte both find themselves unable to sleep and with many hours to kill, and they start to bump into each other in and around a hotel. Charlotte invites Bob to join her on outings to explore the Tokyo nightlife, and they develop a companionship that evolves into a caring friendship, and finally a deep albeit platonic intertwining of forlorn souls. 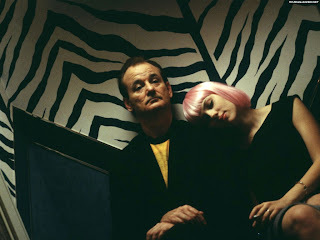 The two main characters of Lost In Translation are rudderless ships floating in a strange ocean, passing very close to each other, but coming from different directions and heading to unknown destinations. Sofia Coppola writes and directs a most poignant and beautifully photographed film, a heartache encounter between two deeply dissatisfied souls who find fleeting happiness in the unlikeliest of surroundings. Both Bob and Charlotte know that their their lives are in utterly different trajectories, and their relationship has nowhere to go; yet they offer each other an irresistible glimpse of nutritious light in an otherwise gloomy, sleep-derived reality. Bill Murray and Scarlett Johansson deliver deeply affecting performances, both playing against their typical personas. 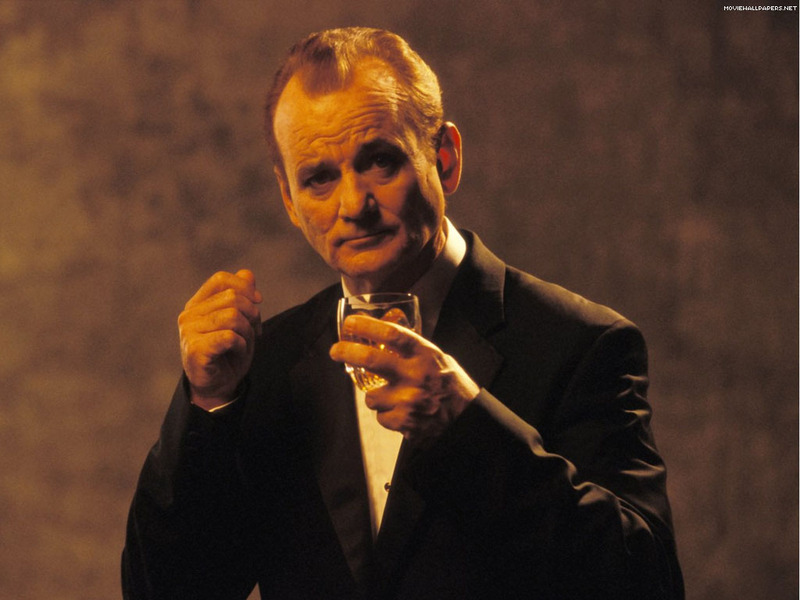 Except for some flickers of wit, Murray leaves his comic days far behind, and creates in Bob Harris a man deeply troubled by his superficial success, watching his decision to chase the cheesiest dollar sink any remaining potential for continued artistic satisfaction. An aura of deep sadness surrounds his every motion, Murray able to project his dark mood on the flashiest of Tokyo surroundings. Johansson is stunningly deglamourized, her Charlotte a woman staring at the sudden realization that her marriage offers nothing to fill her soul, her self-obsessed husband far from understanding even the basics of what the relationship requires. Coppola keeps Lost In Translation away from melodrama by injecting doses of life's quirky reality and humour, and while her jokes are mostly at the expense of Japanese society, she paints the world as seen through jaded, confused and bleary eyes, where cultural differences are understandably exaggerated. Lost In Translation ends with a memorably brave piece of film making, Bob's final words to Charlotte audible only as far as it matters, her reaction a devastatingly beautiful moment of realization that while her future is uncertain, she will always have Tokyo, and life does offer up searing happiness under the most improbable of circumstances.